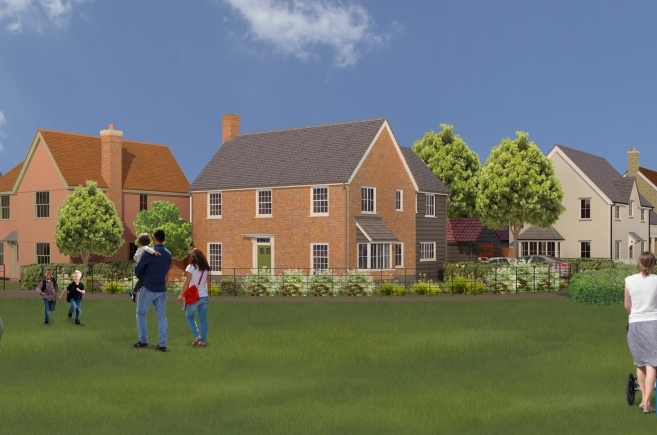 A Reserved Matters Planning consent has been granted on behalf of Lynton Homes for 36 new dwellings in Boxted, Colchester. 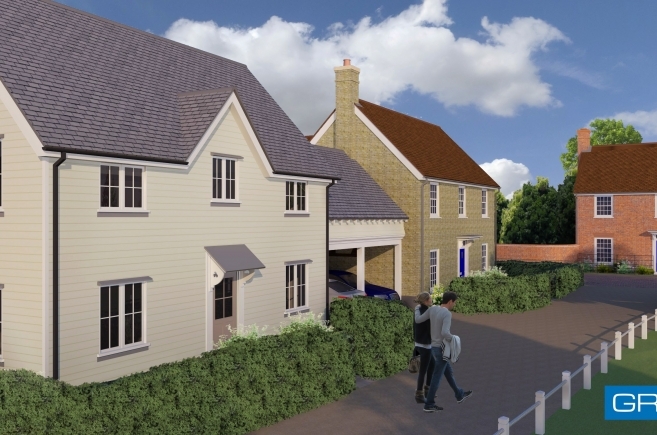 The proposed development is solely residential with a mix of 1, 2, 3 and 4 bed dwellings. The proposed dwellings are a maximum of two storeys and the layout includes three bungalows which have been sensitively located on the western side of the site to reduce the visual impact of development. A simple, very traditional palette of materials was proposed for the new dwellings in accordance with the Essex Design Guide. Pentice boards were introduced in rendered gables and above windows in weather-boarded elevations; chimneys are used on prominent buildings and elevation composition is thoughtfully controlled to create visual harmony. The design approach taken has been informed by the site locality, national and local planning policy and the existing Outline Planning Consent. The design has also responded to best practice context-led analysis which responds to the opportunities and constraints presented by the site and engagement with Colchester Borough Council officers.